"There is a reason human cloning is banned." 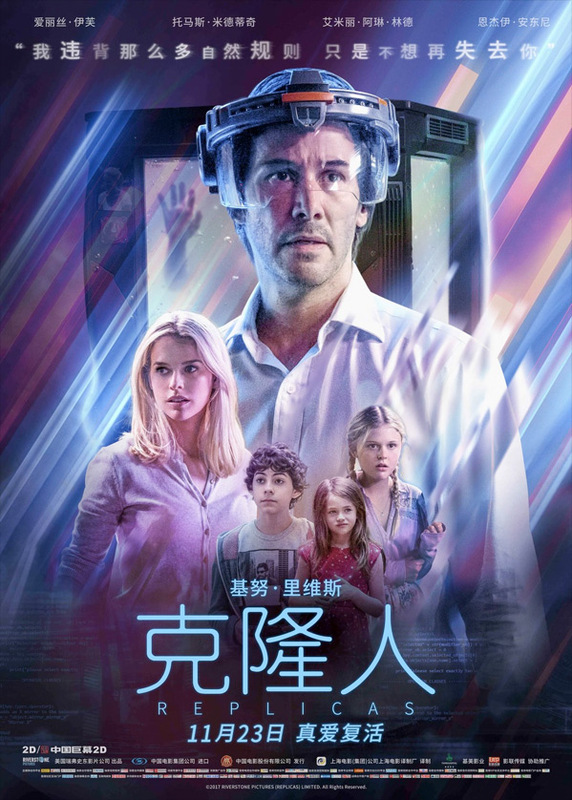 Entertainment Studios has debuted a third (and likely final) trailer for the sci-fi thriller titled Replicas, starring Keanu Reeves as a mad scientists who tries to figure out how to bring back his family after they are killed in a car accident. He eventually tries to clone them but we all know how that turns out. The first trailer for this showed up last fall, almost a year ago, and then the film just disappeared for a while. Waiting in limbo until recently. They dropped another new trailer a few months ago, and now there's a release date - January 2019. That's quite a delay. The full cast includes Alice Eve, Thomas Middleditch, Emily Alyn Lind, John Ortiz, Emjay Anthony, and Nyasha Hatendi. At least this film finally has a solid release date, but I still don't think anyone is going to go see it. Oh well. You can still watch the original trailer for Nachmanoff's Replicas from last year, or the new trailer this year. A daring synthetic biologist (Keanu Reeves) who, after a car accident kills his family, will stop at nothing to bring them back, even if it means pitting himself against a government-controlled laboratory, a police task force and the laws of science. 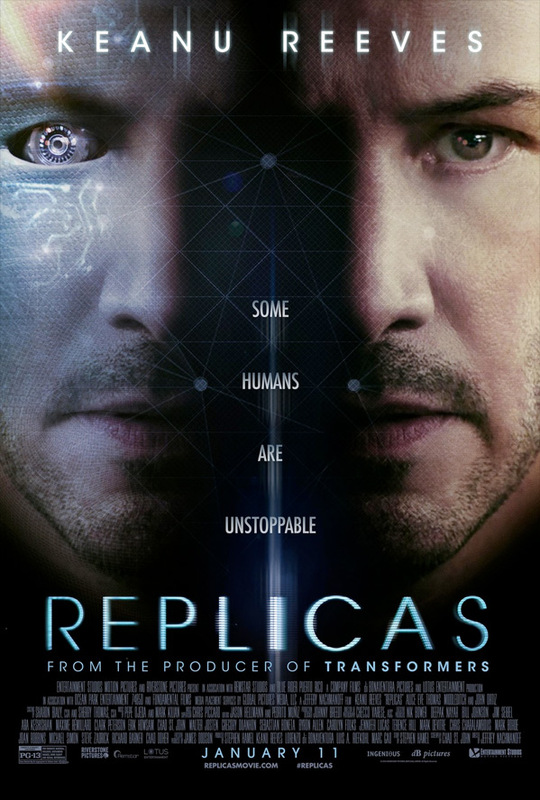 Replicas is directed by American filmmaker Jeffrey Nachmanoff, a screenwriter/producer who previously directed the films Traitor and Hollywood Palms. The screenplay is written by Chad St. John (London Has Fallen), based on a story by Stephen Hamel. It was filmed in Puerto Rico two years ago. Entertainment Studios Motion Pictures will finally release Nachmanoff's film Replicas in theaters starting January 11th, 2019 early next year. That's confirmed. Anyone still want to see this?